The Wednesday Call Live (TWC) for December 4, 2013: This file is an audio recording of Andy's Live Show. If you would like to access the video version, check out the NAAtv Live Archives! The Live Show will air again on December 11, 2013 at 12:30 PM ET. The Wednesday Call Live (TWC) for December 4, 2013: Andy Albright delivered another jam-packed message in this episode of The Wednesday Call live from AMP Studios at The Alliance's headquarters in Burlington, N.C.
War parties are coming next week so make sure you find a city near you to attend Dec. 9-11. NatCon is only weeks away and you don't want to miss everything the event will offer in Charlotte, N.C. on Jan. 10-12. There will be a men's and women's seminar again this year with some very special guest speakers. Foresters' Darwin Hurme joined Andy Albright on the show and announced that Foresters' PlanRight was the product of the week. This was the second time Hurme has been on the show. Hurme wanted to remind people about issued paid contest from Nov. 15 to December 31 for people to win various prizes. The winners will be the top 26 and will be announced Jan. 9 in Charlotte. Each winner gets to pick what is available and the order goes from 1 to 26. Mini iPad, camera, lego, steaks, bracelet, seafood, etc. as prizes. The Alliance did more than $2 million issued paid in November and there are three other IMOs who haven't done that in 2013. Foresters wanted to give away sunglasses to the top 40 issued paid in the month of December and another 10 pair will be raffled off to anybody who sells three policies and you are outside of the Top 40. For the lottery, you will get a ticket for every three policies sold. The top 40 will receive their glasses on the Oasis of the Seas cruise in June. If you are not on the cruise, you will still get your glasses at LeadCon in July. Another 10 pair of Oakley glasses will be awarded to the people with the most legs writing at least three pieces of business with Foresters in the month of December! Foresters announced that it has reduced the number of supplemental forms/questionnaires from 29-plus forms to only six, effective Dec. 2, 2013. Many of the forms dealt with at-risk activities or hazardous sports like hang-gliding, skydiving, etc. Others were health specific conditions that Foresters decided were not necessary to issued applications. The No. 1 removed from the list was a form regarding high blood pressure. Now, there are only six supplemental forms - including alcohol, chest pain, cist and lump tumors, drug substance abuse and mental health. Andy announced five more cruise winners this week. Each winner will be joining The Alliance on the cruise in June of 2014 on the Oasis of the Seas. 35 agents have won six trips, 27 agents have won four trips and 105 have won two trips. There are still four weeks left in 2013 to qualify for this amazing cruise. Andy's book of the month is "Getting Things Done" by David Allen. The secondary book is Brian Tracy's "Eat That Frog!" Andy encouraged people to read books and learn from them. Andy announced that 40 people are on track to earn Good Samaritan Bonus checks in December. To find out more about the GSB, visit www.GoodSamaritanBonus.com. You can find a list of all previous GSB winners in 2013 and who they donated their checks to on this site. Brandi Tipton joined Andy to announce her new role with The Alliance. She will now be organizing NAA HotSpots around the country. There are 67 weekly meetings across the United States, and Tipton's goal is to grow each meeting and add more meetings for The Alliance. 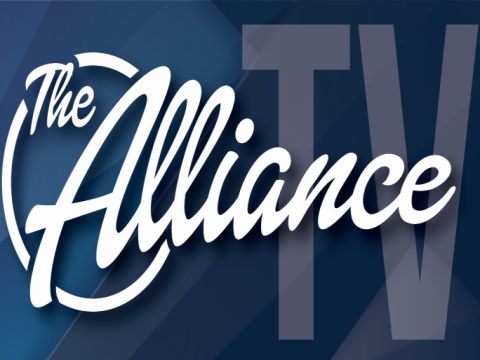 Tim Goad called into the show and discussed the excitement level of The Alliance. Goad told the audience that the people who do not give up win, not the people who are smart, talented, gifted, etc. It's the people who keep calling that make 80 percent of all sales. Building that kind of mentality is the key to growth in The Alliance. No excuses - get rid of them, stop looking for a way out. Start looking for a way through. Take responsibility - decide if it is to be, it's up to me. Tell people to count on you. Get stamina - stay in the fight. When it's too tough for somebody else, it's just right for you. Embrace it when others are running away or going home. Give the little extra it takes to make it. Find motivation - give yourself an incentive to help you win. Make others part of your reward. Decide what success is - what does it mean to you? What does it look like? If you find that out, you won't give up. Be committed - total commitment. Go all in and make it known that you are going to contribute and make a difference to the team. Never quit. Andy talked about planting the seeds that will lead to growth down the road. He explained that some seeds never make it and you have to be OK with that. Others seeds will take off when you least expect it and then stop all of a sudden. What you are looking for is the seed that will keep going whether people like it or not. That's when you know you have a winner. While you are sowing the seeds, you still need to be growing yourself too. A part of that means you should be selling while you are planting seeds in your business. The true entrepreneur will get his/her hands dirty because they want to do it with you. People like this are also not afraid to keep doing more when others will not. Entrepreneurs realize there is a big difference between spending money and investing money. If you are investing money then you expect to see a return on that. Sometimes you will just spend money and that's OK. However, an entrepreneur knows he has to invest to get that return. Job people get bothered by the smallest things. An entrepreneur could go bankrupt and he just starts something new. It's about building and not worrying what others are doing. Job people are afraid of that little seed that just blows up and keeps getting bigger. Andy believes you pick whether you are a job person or an entrepreneur. It's up to you to make that decision in your life. It's up to you to speak positive and make things happen. You can't get to the top of the mountain if somebody is holding the brake down while you are pedaling your hardest. Those people are not committed and want you to move backward down the mountain. Those people are undoing the work of the committed and are hurting the team. Some people just want to survive. Entrepreneurs want to survive, but they want others to survive and thrive too. They want to create opportunities for other people. Some people take off and others just stop. The Alliance is going to build something with imperfect people. We don't want perfect people. We are looking for people that have all kinds of flaws and we are inviting them to our National Convention in Charlotte, N.C. in January. To sign up today, visit www.AllianceEventures.com. The bigger The Alliance gets, the more it is going to mess the uncommitted people up. The heart, entrepreneurial attitude and spirit of National Agents Alliance are going to overcome all the problems each person has with The Alliance. The people that are willing to get dirty, shake hands, is open and honest is the one who will get things done.